When he suited up with C.J. 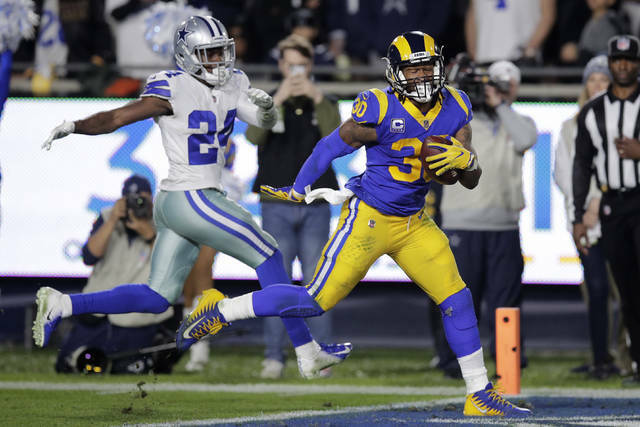 Anderson for the first time last weekend during the Rams’ divisional playoff win over Dallas, Gurley truly shared the big carries for one of the first times in his NFL career. “I guess it was a good thing I got hurt,” Gurley said with a laugh. 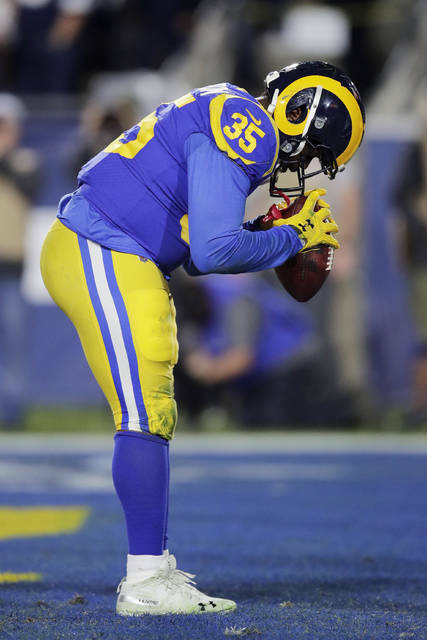 Gurley’s knee injury last month led the Rams to sign Anderson, a six-year veteran who had been released by three NFL teams in the previous eight months. Anderson hit the ground running with 299 yards in the Rams’ final two regular season victories while Gurley sat out. The Saints have already watched film of this partnership’s debut, and they know what’s coming to the Superdome. The Rams’ dynamic duo presents a remarkable contrast at the position. Anderson is 5-foot-8 and a self-described “fat kid running.” While he hits holes and linebackers ferociously, he isn’t planning to break away from any defensive backs anytime soon. Anderson, who won a Super Bowl with the Broncos three years ago, still seems a bit surprised to be deep in the playoffs just a few weeks after he was unemployed. He understands his place in the Rams’ larger picture, and he willingly defers to Gurley. “Whatever Todd wanted to do, we were going to ride with anyway,” Anderson said of the substitution plan against Dallas. “If he wanted to play 98 percent of the snaps, we were going to let the man be the man. That’s why he’s one of the best backs in the league. Gurley tore his knee ligament during his final season at Georgia, and his rookie season didn’t start until the Rams’ third game. Since then, he has been one of the NFL’s most durable backs, even without having a heavily used backup.